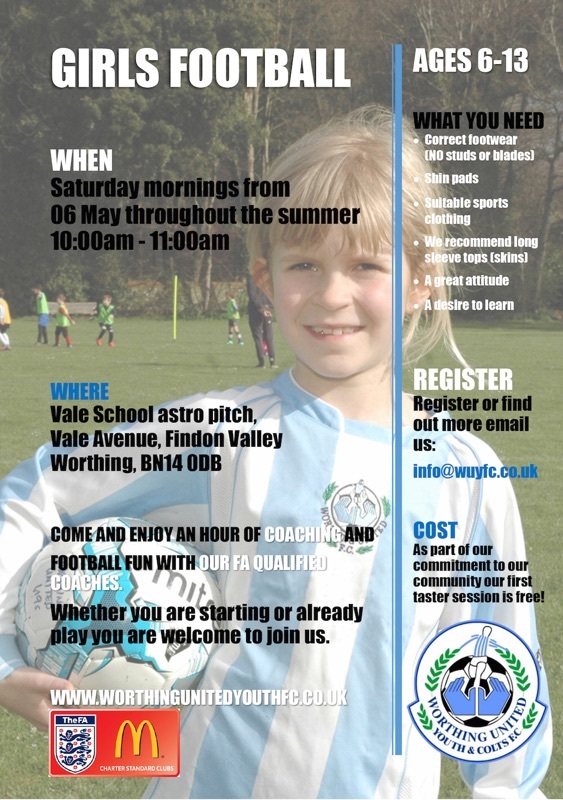 Girls football training sessions takes place on Saturday mornings at Vale School Astro from 10am-11am every week. Currently we are especially looking for Year 7 & 8 girls for a new team starting in September 2018. See flyer below. Click below to listen to our new RADIO ADVERT currently being played on Worthing-based radio station MORE RADIO. 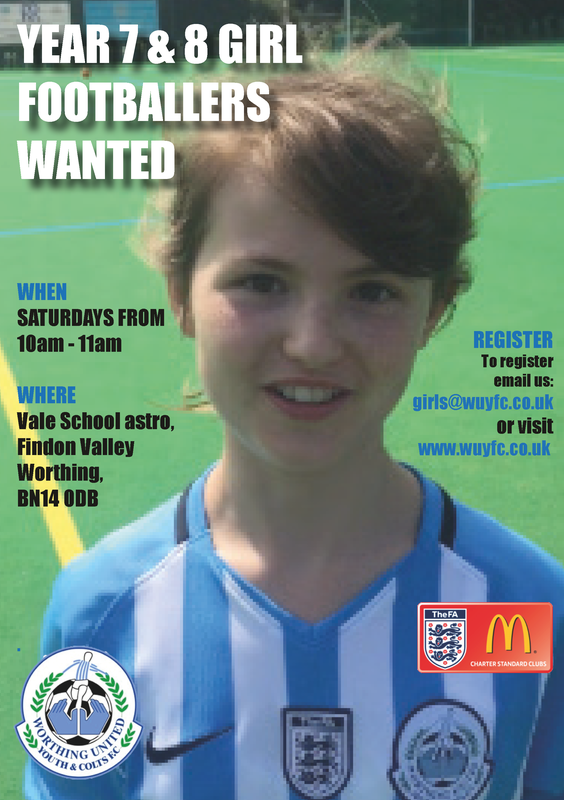 Please come and enjoy training every Saturday for the new Worthing United Girls teams at The Vale School in Findon Valley. The session will be from 10am-11am – first session free, then £1 per week. Please wear football kit including shin pads. No studded or bladed boots are allowed. Please wear pimples or regular trainers. If you have any further questions please call Chairman Jason Nicholls on 07903 850253 or email info@wuyfc.co.uk.